Two years ago when I started my business I transformed my whiteboard into a giant ‘spotlight vision board’. It listed all the PR opportunities I hoped to achieve. Some of this was media coverage in specific outlets, others were awards I would like to win, and others were speaking opportunities I hoped would materialise. When I wrote these goals I had just graduated from the Beautiful You Coaching Academy and attended my first Inspiration Day. I had got so much out of the day, and one of my ‘blue sky’ goals was to speak at a future Inspiration Day, so you can only imagine how it felt to see that goal come to life when I was invited to be a panellist. The Inspiration Day panel discussion was on PR and media, led by BYCA Founder Julie Parker along with award winning life coach Fideliz Cruz and myself. With years of media experience behind her, and as host of the ‘Priestess Podcast’ Julie shared valuable tips on how to interact with the media, decide what opportunities to pursue and her personal experience receiving pitches for her podcast (including the very amusing story of an electrical company’s pitch). 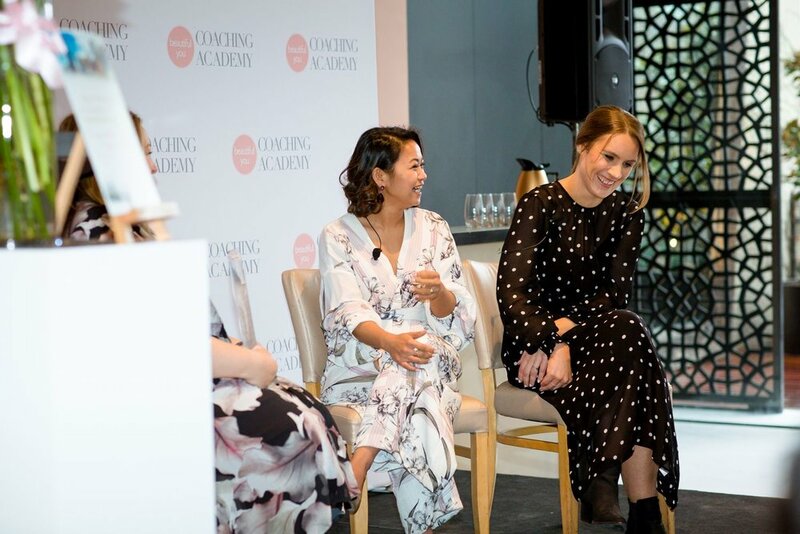 Fideliz spoke of her experience of being a PR and media superstar, gaining lots of coverage since she started her business, and how she keeps the nerves at bay when presenting. You can read more about her experience here. 1. If you are not yourself the media and their audience will pick it. You can often tell when someone is not being themselves because they come across as uncomfortable or make you feel uncomfortable. 2. It is exhausting putting on a façade. You may get away with it in a one minute sound bite, but it’s hard to keep it up throughout an hour long podcast episode. 3. You will most likely come across as vanilla. If you hide your true self, quirks and all, you’ll come across just like everyone else and that makes it very hard to create an impression with the audience. 4. It stops you from attracting the right audience. If you are yourself, media exposure will help you attract your ideal audience, and importantly will also repel those who are not the right fit. If you’re not yourself you may start attracting and repelling the wrong audience. 5. You are not being honest to yourself or your audience. If you are a coach or small business owner I encourage you to start your own ‘spotlight vision board’, it may take time but hopefully like me you’ll start to see those goals come to life! When those media and PR opportunities do come your way don’t be afraid to be yourself and let your true self shine through. Julie Parker, Fideliz Cruz and myself. Images by Fi Mims Photography.